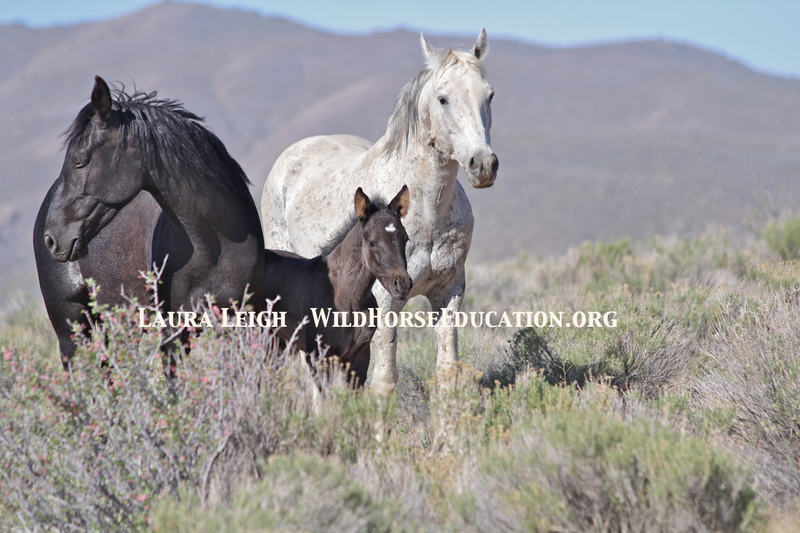 A beautiful wild horse family on Nevada BLM land. 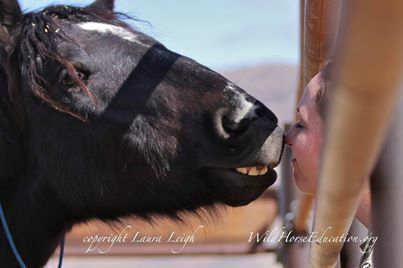 Message from Wild HorseEducation President Laura Leigh: Those of us that take time from the rigors of daily life (and daily life right now, in this world, is a challenge all it’s own) to advocate for the well being and protection of another, are a special breed of human being. Possessing the ability to see suffering, feel empathy and take action can be a gift that may become a burden. “Compassion fatigue” is a very real thing. Those that care for relatives with long term illness, or work in jobs that put them at close contact with suffering, are the most vulnerable. However being an advocate of any kind can leave you overwhelmed as the need to empathize, yet function effectively to complete tasks required to care for that which you advocate for, day after day take a toll on your personal resources. There are things you can do to “help” yourself as you advocate. Marta Williams, VP of Wild Horse Education, wrote an article last March called “Coping When it Hurts.” The article deals with ways in which you can ease your pain and frustration when you constantly view things that hurt. A great cure is becoming “active” in advocacy. But what about when advocacy itself becomes the “hurt?” What then? In my personal journey to tell the story of the wild horse and burro so that people will “know” not just “what the issues are,” but “who” is caught in the issue, I have seen some things that are unacceptable and haunt me. 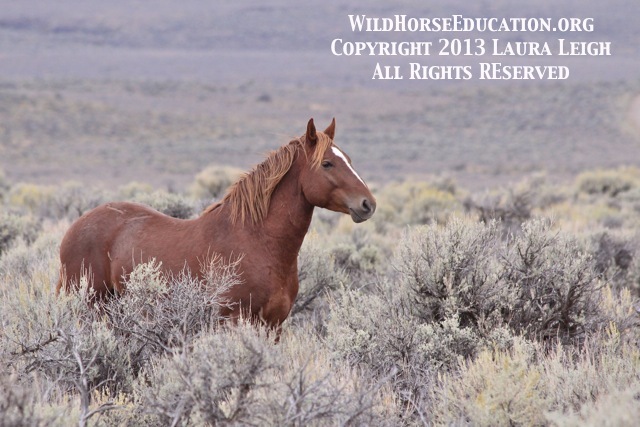 I have seen literally thousands and thousands of wild horses lose everything they know during a government stampede. I have seen death and sorrow. I have heard the human beings involved in the process of creating the policies, and those advocating, do the things only human beings do (like lie, cheat, make excuses) and that is the hardest part for me because I know it is the root of the problem. Greed and ego are the greatest obstacles to protecting any that are vulnerable and powerless. But that is not all there is. Every once in awhile I find I need to step back from the things that wrack my soul and step into the beauty that exists, even in this horror. I have been asked numerous times by reporters and others “how do you not go nuts?” I tell them I see not only the horror, but the absolute sheer beauty. There is balance. That balance is what we, as advocates, need to find in ourselvs to remain effective. I answered once that “In anger lies recklessness. In sadness lies helplessness. Somewhere in between is effectiveness.” But I was wrong. The ability to “balance” is not between anger and sadness, they occupy almost the same space. The balance can be gained in one place only, the love that exists for an amazing being. It is all right there. When you feel overwhelmed by the mounting opposition against our wild horses, the frustration with government or advocates, the horrific images and fear of slaughter… take a moment and stand in the light. The ugliness will run from your soul like cockroaches do when the light goes on. You might cry as the last vestiges of “ugly” leave you. Crying is cleansing and not a sign of weakness. Your sadness will be replaced with hope, and your anger will be replaced with renewed determination. It also helps to know you are not alone and many share your frustrations. To find the light is simple… it lies in the eyes of the wild ones. Take a minute and find that light. There are many places you can find it even if you can’t get to the range. There are many people that create visions of that light and we have featured a few on our “Inspire” pages on our website (more to come). Music, painting and photographs can take you there. Finding a rescue or friend that has a Mustang can give you a chance to touch that light. We know this road is not an easy one…. remember you are not alone…. 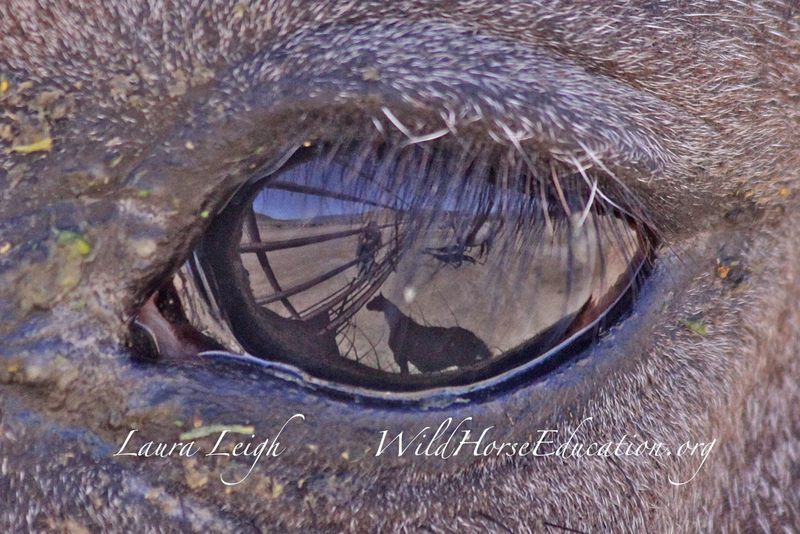 and take time to look into the light in the eyes of a wild horse. You will then have your “shield and armor” and step back into the line of “wild horse warriors.” We will create a road to change as we all stand side by side… if we remember the eyes of the wild horse where even during capture, reflects a strength and beauty beyond our own. 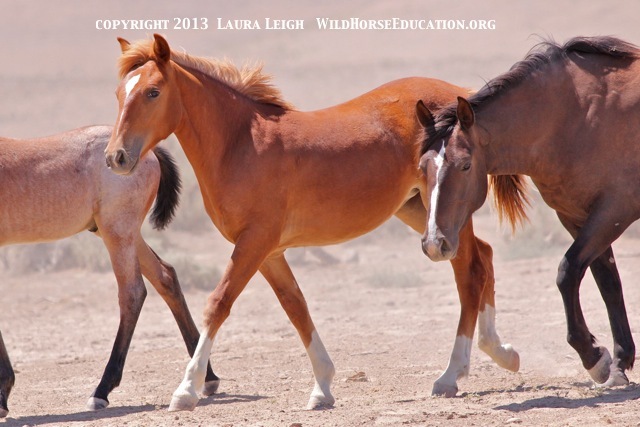 Wild Horse Education remains committed to creating protection from abuse, slaughter and extinction for wild horses and burros. Young filly heading to water at Snowstorm (Owyhee) where BLM cancelled a removal based on “emergency” in 2013 after litigation was filed. And always remember WE CAN! This touched me in a profound way. I feel the rage for Our Wild horses and I wonder how we can ever truly help them. 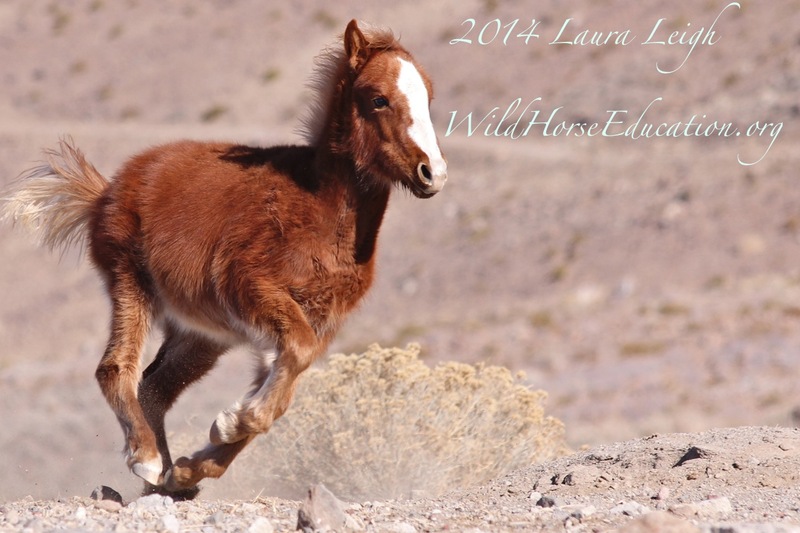 Thank you for Your tremendous work for Our wild horses. There are, I know, thousands and thousands of us that want and need to come together, as one, to ensure that Our wild horses remain free. As one, let’s go to Washington DC, lets go in huge numbers and demonstrate Our love and commitment to our only remaining wild horses. Let us bring light to our beloved horses. Laura, I am not certain how you do it. All this is so frustrating. I will continue to support our cause. You are a true champion and hero. Thank you for those words. I am having a difficult time with my rage and frustration towards the recent assaults on our wild horses and burros. The lies and greed are infuriating and sometimes I wonder if there is any good left in those places out west. There is you. There are those who stand with you. I will stand with you. A great leader’s courage to fulfill his vision comes from passion, not position. —John Maxwell. You are the spirit of this quote. My horses have saved me from myself and I need to repay them for that gift. I thank you and those others that are out there fighting for the wild horses and burros. It hurts my heart, but your selfless sacrifice reinforces my resolve as I am certain it does for all of those of us who look to you for the truth and guide us to effective action. I look to your composed resolve to put aside my own emotions and will follow your guidance. Stay strong Laura. You are not alone either. Thank you for this timely blog Laura. It comes at a time that am feeling despair over the future of our wild ones and the complete lack of compassion shown by our government towards them. While I do not have acess to horses wild or domestic I am fortunate that my brother Helmut who resides in Mesa takes pictures almost daily of the Salt River Wild Horses. His pictures really capture the beauty. majesty, and nobility of these horses. My wife Nancy and I had the opportunity to visit these horses last September and we were immediatly enthralled with the spirit and magic of them. They really have a restorative power to them that calms your soul and heals your spirit. So I remember those moments when I can and continue to have hope that someday the right set of circumstances will arise to bring all the parties together in unison to return these horses to the land that is rightfully theirs. I also take solace in the fact that there are devoted people like you that carry on the fight. For now I will continue to support you and one day I will join you or others on the frontlines. I read everything I find that is written by you. Laura Leigh. I am now 83 years old, and overcome with my inability to “do” anything! My so-called elected representatives and senators (AZ) are clueless, and just send a FORM letter explaining they are not on “that committee,” no matter what I write. I vent, I spend hours on the computer each day, I SHARE, and I cry. I know our country has many problems, but there has to be room enough to fit “this” into the schedule; and, time enough to “do the right thing;” and, energy enough to break through the wall of those who do not care. How and when? Who will act against the BLM or USFS? Who will stop Sen. Harry Reid, or John Boehner — who has vowed to “never let the S.A.F.E. Act come to the House floor for a vote!” I get up every morning and pray that something good may have happened overnight. Yet, when I get up the next day … the sad story is still there. Sad and infuriating. Who among these useless people in D.C. even hears what you, or I, or anyone else is saying? I have read this piece of yours, and I am trying to make it work for me. God bless you and the work you do for the wild horses and burros. You are a saint. Thank you for this! Being so far removed from the wild ones (Florida), and being of limited resources, I am angry and frustrated that there is little more I can do than share the stories, sign the petitions and write my representatives (who give me lame platitudes about how they will take my letters into consideration, but must also consider the greater good) and PRAY night after night for protection for the horses, and for strength for those of you on the front lines fighting the battles to save our precious legacy. I find it ironic that you are the ones comforting us. Thank you for your bravery and persistence!